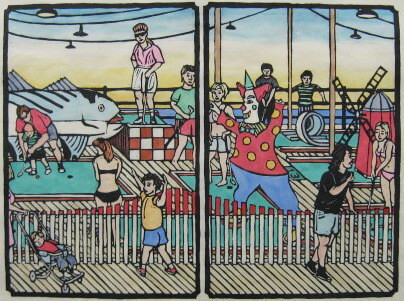 The Floating World was the name given to districts in 18th and 19th century Japan where people would go seek transient pleasures unavailable in the more restrictive cities. 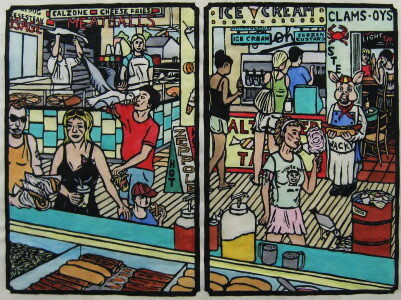 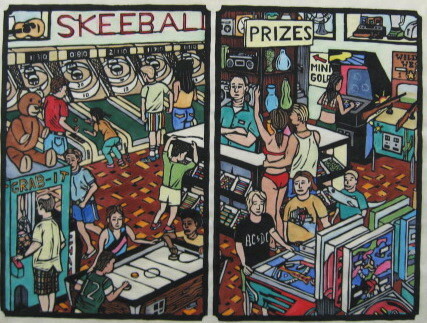 My concept is that the modern day New Jersey boardwalk is the contemporary equivalent, leading me to produce this series of hand colored woodcuts. 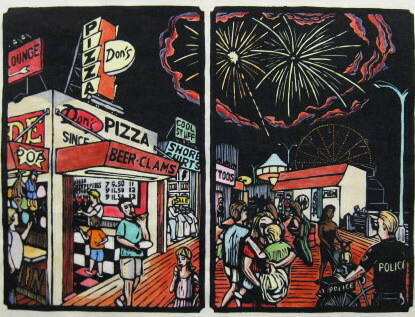 The subjects are based on my experiences on the various Jersey Shore boardwalks since the 1970's, with a little more Japanese influence than is typical in my work. 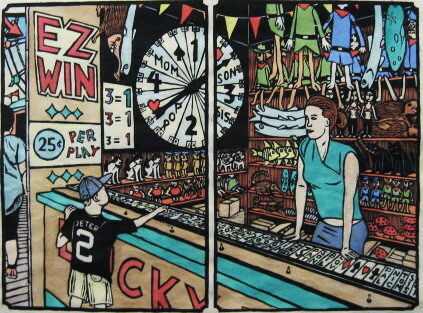 These are the first six of an expected 10 to 12 diptychs.